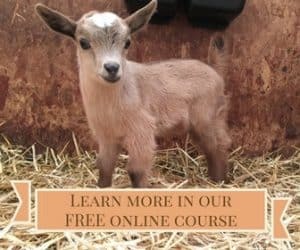 , should be required reading for everyone who is interested in farming, even if they don’t think they want to be a mentor or an intern. Many people have the mistaken idea that interns are merely free or cheap labor, which is a misconception that Joel repeatedly corrects throughout the book. An internship is an educational experience for the intern, and it is far from cheap for the mentor. If you don’t like teaching, explaining, and answering questions, then mentoring is not for you. In addition to time, you will wind up with broken and lost tools and sometimes lost profits. Although I was laughing hard when I read his story of the cow that escaped at the processing plant due to an intern’s mistake, I’m sure it was not a laughing matter for all of the people involved in capturing the cow. This is my best advice right now. I’m sure I’ll learn something more tomorrow, but this is what I think today. Putting aside Joel’s caveat, this book is filled with fabulous advice! I really could go chapter by chapter telling you every wonderful bit of advice he offers, but I know you don’t have all day. So, I’ll offer you a few of the best tidbits — and tell you to buy it as soon as possible. Joel starts the book by laying out his case for the farmer shortage and why we should care. The average farmer in this country is older than 60! Don’t think that’s a problem? He says, “No civilization has ever survived an inability to feed itself. 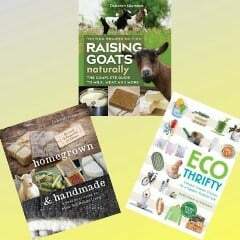 Period.” In my book, Ecothrifty, I talk about how importation of food continues to rise year after year, so although we don’t see a problem in the supermarket, we have a problem, and it is getting bigger every year. Next, he talks about why internships and apprenticeships are the best way for future farmers to learn their profession. 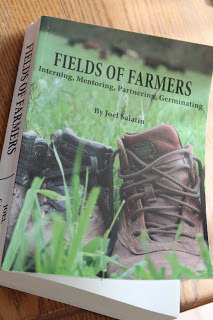 Notice how I used the word “profession,” rather than “trade.” Throughout the book, Joel reinforces the idea that modern farming is for smart, motivated, business-savvy individuals, which is a far cry from the stereotypical farmers of a century ago. In fact, he makes a great case for a farming internship instead of a college degree. The meat of the book is about how interning and mentoring work — the application process, agreements, housing, food, remuneration, and all of the nuts and bolts of creating an internship program. Although there are separate sections titled for mentors and interns, everyone should read both sections, regardless of which role you want to fill. In fact, I highly recommend not skipping any sections. For example, I wanted to skip the section on obtaining land because I really didn’t think that applied to us. After all, we have 32 acres that we are not fully utilizing at this time. However, I’m glad I read that chapter, as well as the rest of the book, even though he was not specifically talking about internship programs. 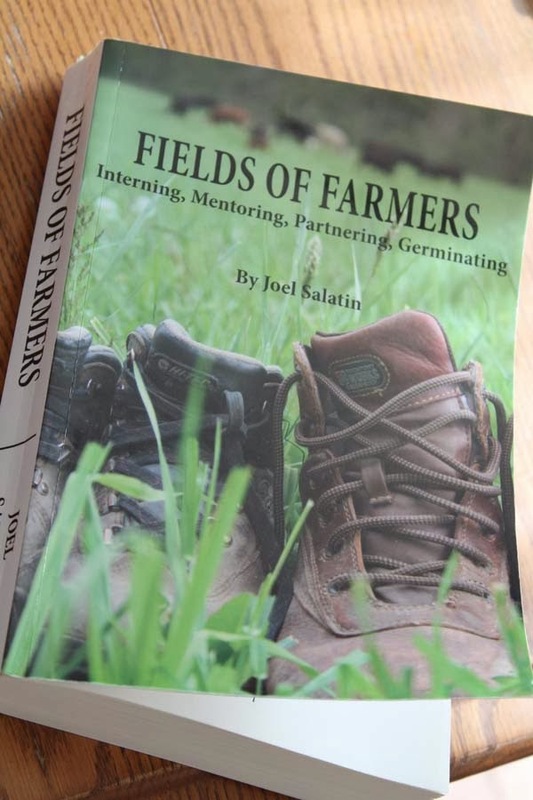 I guess I hadn’t given much thought to the “Partnering, Germinating” part of the sub-title, but this book is all about helping new farmers get started, and it doesn’t end after a short internship. When people ask me what I want to do with this farm, I have a host of interests. But I have neither the technical skill nor time to do them all. I’m trusting that people will continue to be drawn here to create their own compensation packages with their own fiefdoms that will synergize with whatever already exists. My responsibility is to massage the team by making sure each player has an opportunity to achieve full potential. As I said earlier, I could go on and on about this book! (Just ask my family!) Hopefully I’ve convinced you that if you have any interest in farming — even if you don’t think you need to be a mentor or an intern — you owe it to the future of food in this country to read the book. My copy is already dog-eared and highlighted and notated, and I’m sure I’ll be referring to it a lot in the months and years to come as we refine our internship program. from the author in exchange for an honest review. This post also includes affiliate links. If you click on the links and purchase the book from Amazon, Thrifty Homesteader will receive a very small commission while you pay exactly the same price as you otherwise would.